On the 25th of April, the world will commemorate World Malaria Day whose theme this year is “End Malaria for Good”. The sad reality is that in some countries the realisation of a malaria free society is a distant dream. To commemorate this important day, two ONE Champions in Nigeria, Celestina Obiekea and Oyeronke Oyebanji share their experiences with Malaria. They also share some tips on how to avoid it. Recently, a friend from another country asked if I had ever had malaria. “Of course, yes”, I replied. In Nigeria, malaria is so common that it is no longer a big deal. The most recent bout of malaria I had was in 2015. The symptoms are the same always, from feeling weak, fatigue, recurring headaches, and fever. It was such a horrible time for me. On the first morning of my sickness, my parents insisted I visit a health facility. To avoid delays that are common at government facilities, my father took me to a private clinic. My blood tested positive for malaria! I recall looking at the bill a few days later and was surprised at how much my father had to pay for a simple malaria test. Sadly in Nigeria, many people are unable to afford a malaria test or medication and depend on popular traditional medicine called agbo. My story is just one of many cases in Nigeria and I am pretty sure many other people have experienced a lot worse. The poor implementation of environmental laws in Nigeria and the erratic power supply makes preventive measures such as keeping a clean environment and using insecticide treated nets difficult. Unfortunately, malaria disproportionately affects poor people who cannot afford treatment or who have limited access to health care. Fake drugs still remain prevalent and cause more harm for people seeking treatment. Use insecticide treated mosquito nets. Always finish the doctor’s prescription each time you contract malaria to avoid drug resistance. Take plenty of fluids and get rest during these periods. 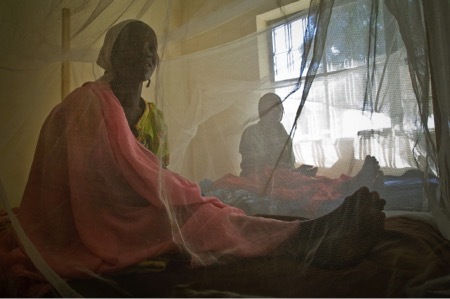 Malaria during pregnancy carries serious health risks for mother and child. Pregnant women should access preventive and curative services through the Focused Ante Natal care (FANC) in their communities. As the world prepares to commemorate World Malaria Day, we celebrate ordinary men and women who have to live with malaria on a daily basis. The reality is in poor communities; malaria traps families in a cycle of illness, suffering, and poverty. Let us work to end malaria and needless loss of lives because of this disease.